Invisible food is a project that walks through London’s green spaces to search for wild plants that are edible. On Saturday 17th July, we’ll walk from the Loughborough Estate, Brixton, SW9 to the Lambeth Country Show in Brockwell Park, SW2 where we will be hosted by Lambeth Council sustainability unit’s Green Community Champions tent. On the way, we’ll hunt for plants to cook up for our lunch. Children are encouraged to look for blackberry, nettle, chickweed, yarrow, mallow, lime flower, fat hen. Then we draw the plants before creating an original and startling dish of our foraged food. All children are welcome, toddlers can come for the walk, ages 5 + can actively participate in identifying, picking, drawing suitable plants and unleashing their creativity on their unique dish. Children will practice food art and life drawing skills. Adults without children are also welcome as usual. Walk begins at 12pm. Arrive Brockwell Park at 1pm and second meet point is at the Herne Hill entrance to the park. We’ll discover plants in the park until 2pm. 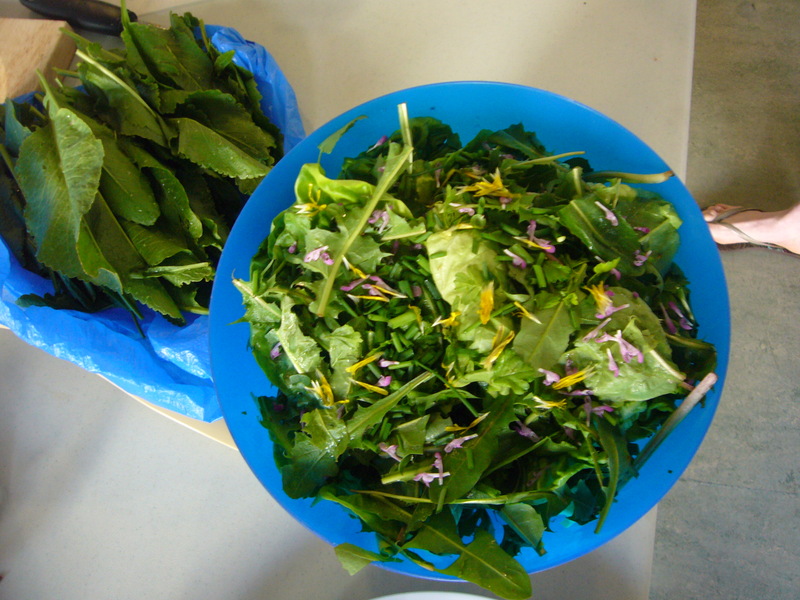 at 2.30pm draw plants, create our dishes and have picnic in Green Community Champions tent. Please bring some extra food to share for the picnic. Wear suitable clothes and bring water, sunblock and hats on a hot day. At Mint Street Summer Fair, SE1, in collaboration with Bankside Open Spaces Trust, Invisible Food will be offering herbal infusions to do mystery tastings of, followed by a Plant-Compatibility questionnaire to see what this plant can reveal for you.